I came across a Scripture reading, John 15: 13, that really moved me. That Christ so loved us to lay down his life for his friends who are undeserving of his Merciful love. I meditated with this Scripture verse for a good amount of time and I soon noticed how blind I was to the sacrament of matrimony. How beautiful of a calling and blessing to be a part of. In our world we see broken families, lack of love, charity and service to those closest to us. After reflecting on it, I noticed marriage is like martyrdom. In the Church, the call to live out a life with another, to reflect the Holy Trinity (triune love), and the spousal love between Christ and His Church, is one beautiful vocation. The Catechism states, “it [marriage] aims at a deeply personal unity, a unity that, beyond union in one flesh, leads to forming one heart and soul; it demands indissolubility and faithfulness in definitive mutual giving and it is open to fertility” (CCC 1643). I want to focus on the “mutual giving” aspect. We find fulfillment and meaning in our lives when we give of ourselves to others. Our lives are tremendously enriched by giving of ourselves. Pope John Paul II explains our surrender of our wills to our spouse, “the fullest, the most uncompromising form of love consists in precisely in self- giving, in making one’s inalienable and non-transferable ‘I’ someone else’s property” and he goes on to say, the ‘I’ far from being destroyed or impaired as a result is enlarged and enriched.” (Love and Responsibility, p 97). Marriage calls for us to step outside of ourselves, to look outward at the needs of our beloved; to avoid utilitarianism. Marriage is the experience of belonging to another, to be an instrument of God’s love. Pope Francis mentions in Amoris Laetitia, “in loving another person involves the joy of contemplating and appreciating their innate beauty and sacredness, which is greater than my needs.” The love between the bride and groom calls for daily self- denial, a sense of responsibility of the other, and eventually growing their family to build a domestic church (or hospital), to guide, care and heal each other and where love is nurtured and encouraged. Love continues to grow and continues to grow through the children and even then continues to grow. Married couples receive grace flowing from His Divine Heart, and in a way, respond to the needs of their beloved in acts of love and kindness. A willingness to take on each other’s burdens, to take up their cross and to gain salvation. 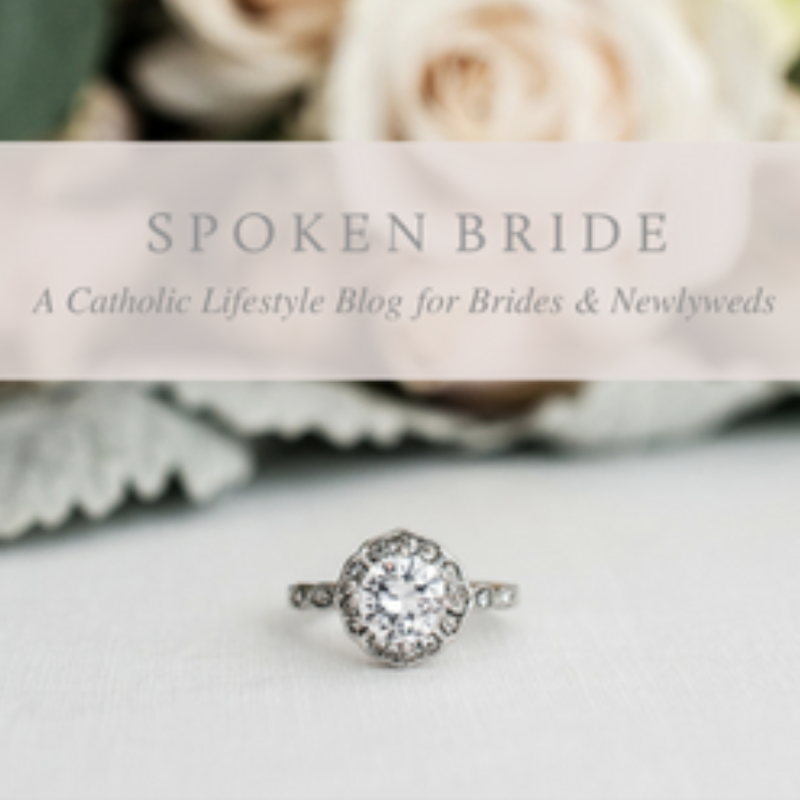 When contemplating marriage, we should not forget the Eucharist. Without this triune love in marriages, there is nothing. As Fulton Sheen, it takes three to get married! Spouses use the Eucharist as their daily food to strengthen and renew their marriage covenant. There’s a close bond between married life and the Eucharist, the Eucharist is where Christ’s redemptive work is implemented. The couple becomes in the image of God’s creative work and his Divine Love. Using God’s eyes to contemplate our beloved and to see Christ truly present in them, we open our hearts to love them more profoundly and uphold their dignity. The desire to want to form a family is to be part of something incredible and mysterious, it is to be a part of God’s dream and to dream with Him. A beautiful modern day saint for women, is St. Gianna. She was full of authentic femininity and beauty. She passionately loved her husband and children in such a self surrender and self- sacrificing love. St. Gianna reflected John 15: 13 in her life. There was a tumor on her uterus, but she denied surgery (uterine removal) to not harm her baby growing in her womb, though later, resulting in her death. She abandoned herself to God’s Divine Providence. Without hesitation and a profound love, she placed her baby’s life before her own. As women, we should follow her inspiration of heroic and faithful footsteps for the glory of God. When we lay down our life for a friend, and to choose to lose it for Christ’s sake, we will find it. In this self giving, free, and martyrdom of self, we come to know our life isn’t our own, rather it is our surrender to our beloved. Love is powerful. It has no limits. Love makes us do crazy things, such as compelling us to die to self for the good of our spouse. Our love will be fruitful in the measure we surrender our self to our spouse.